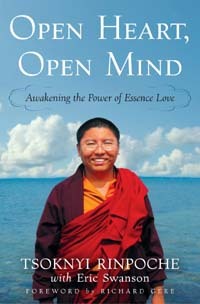 In this episode, Rinpoche talks about his new book, Open Heart Open Mind. The conversation revolves around the topics of essence love, and the importance of developing a healthy sense of well being, which Rinpoche talks about in connection with the subtle body. He discusses lung (wind), the dangers of subtle body speediness, the effects of healthy lung, and the different ways in which Tibetans and Westerners relate to their gross bodies, subtle bodies, and minds. He also talks about two types of Buddhist teachings, one directed towards overcoming habitual patterns learned in this lifetime, and healing emotional wounds. He talks about this broader path as Buddhist therapy. The other, deeper path, is directed towards purifying karmic patterns gathered over many lifetimes. It involves renunciation, understanding of emptiness and absolute bodhicitta, receiving lineage blessings, and practicing with devotion and commitment. 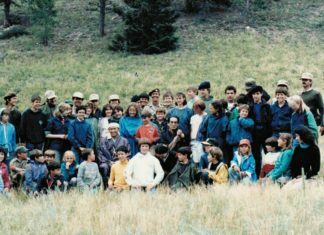 Traditionally, a relatively small number of people are willing to make a commitment to this profound path of dharma. Rinpoche goes on to say that in order to become enlightened, you must first become a healthy human being.